Please note: The Digichat servers have been eliminated. Please refer to our classic chat help page or modern chat help page for more assistance on the software applications we currently use. 1. I can't connect. What kind of browser do I need and how do I activate Java to chat? Windows 95/98/ME/2000/XP/Vista/8* users: For the best speed and compatibility with the Client applet we recommend Internet. Explorer 7.0 or greater for Windows..although earlier versions such as 5.5 will work. We do not recommend any version of Netscape prior to 6.2 as it has been reported to cause glitches. Some may have problems, others may not. Netscape Version 8.1 is the latest, and the most reliable. Firefox is another safe and reliable option. Be sure to update to the latest version of Firefox as earlier versions do not allow Java to work. UPDATE - We have upgraded our chat rooms to the latest version of Digichat. Some of the older browsers may no longer be compatible with our chats. Therefore, please visit the link below to install Sun Java on your browser. Mac users: You must use Internet Explorer 4.5 or later for Macintosh with MRJ 2.1 or later. You may use Netscape 4.0 for Macintosh, though these browsers exhibit poor Java performance. Updating to the latest version of Safari is always recommended for Apple users. IE 3.0 and under users: Because of numerous bugs in the Java Virtual Machine for Microsoft Internet Explorer 3.0, we do not support running DigiChat under Microsoft Internet Explorer 3.0. The problem does not occur with later version of Internet Explorer. All versions of Firefox should work fine with the chat rooms. AOL users: It may be necessary to access the chat rooms from an external browser, such as Microsoft Internet Explorer, Netscape Navigator/Communicator, or firefox, rather than the built in AOL web browser. This is due to apparent bugs in AOL 4.0 and earlier which cause some Java applets, such as DigiChat, to redraw improperly. This bug appears to affect Windows 95/NT and Macintosh, though Windows 98 appears to be unaffected. Opening a newer browser while running AOL should fix this problem. Downloading Internet Explorer: Go to the Microsoft Download Center homepage for the latest version of Internet Explorer. *Windows XP Users: Some versions of Windows XP do not come with a Java VM. You will need to download the latest one from Sun (preferably 1.4.0 or later), or get the Windows update and download the latest critical updates. 1. Choose Tools from the Menu bar, then Internet options. 4. Then in the dialogue box scroll down to the Microsoft VM section, Java Permissions and select either High security, Medium Security or Low Security. 5. Select OK in each dialogue box. 3. 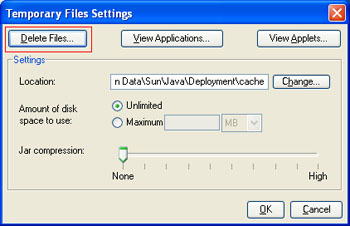 Scroll down to the section labelled "Java (Sun)"
4. Make sure this box is ticked and then press "ok". Please note that some users have mentioned that Virus Scanners such as ZoneAlarm can prevent the Java Applet from loading. Try temporarily disabling any virus software to see if you can connect. Also, users of Microsoft XP (All versions) please note: Microsoft released a software update to Microsoft IE 6 for Microsoft Windows XP Service Pack 2 (SP2). This update changed the way in which IE handles some Web pages that use ActiveX controls and Java applets. 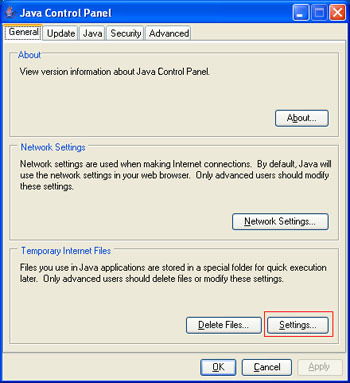 Examples of ActiveX controls include the Sun Java Virtual Machine, which this site uses. Please make sure you enable your ActiveX controls on your browser. Go to Tools>Internet Options>Security>Trusted Sites>Add www.chat-avenue.com to "Sites">Then click "custom level" and make sure ActiveX is enabled for your trusted sites. 2. How do I use the chat? First select the appropriate chat category you would like to participate in. To enter the room, click Connect, enter a user name (the other information is optional), then click OK, Connect! A list of the other users in the room is displayed in the window on the right. Type your message in the narrow text box, then hit the 'Enter' key or click Send. Your message is displayed in the chat room for you and all the other users to see. You are able to send a message to another user in the chat room. That message cannot be seen by anyone else. Click the name of the user you wish to send a private message to, then click the Private Chat box icon. It looks like a person whispering into someones ear. A new private chat room box will appear which will allow for private and safe communication. Private chat can also be initiated by double clicking on the persons name. 4. How can I block messages from a particular user? Click the name of the user you wish to block messages from, then click the Ignore User icon. It looks like a person with a big red line through it. Any messages sent by this user will not be displayed on your screen. 5. What does Rooms do? NOTE: New Rooms can only be created by certain moderators. (Private or Public: please see below) This is due to user abuse. You must ask a moderator to create one for you. 6. How can I customize the chat window (fonts, colors, etc.)? 7. How can I find out more about someone in the chat room? Highlight the user's name, then double click. Then click on Profile. 8. Do the chat rooms work with WebTV? No it does not work with WebTV. Please visit other fun things at this site while you are here. 9. I am being bothered by a user in the chat room. What can I do? You can ignore the user by clicking their name then clicking the Ignore User icon. If you are the room moderator, you can expel or ban this user from the chat room. You can also contact the webmaster or room administrator to report the problem. 10. Why can't I log back on to the chat using the same username (nickname) after my Internet/chat server connection was dropped? If you login from a different machine or a machine that uses a dynamic IP address, it will not permit a second login because you appear to be still in the room. Select a different username. After 10 minutes, the old username is automatically logged off and is available for use again. 11. What does "I" icon button do? By highlighting a user name you can receive quick access to his/her profile by clicking that icon. These errors indicate an inability to access our computers. This can be due to a problem with your Internet Service Provider (ISP), your modem, or the path between your computer and ours. It can also be because you are behind a firewall or using a proxy server. 13. Can I use the chat rooms with AOL? Yes. However, it may be necessary to access DigiChat from an external browser, such as Microsoft Internet Explorer or Netscape Navigator/Communicator, rather than the built in AOL web browser. This is due to apparent bugs in AOL 4.0 and earlier which cause some Java applets , such as DigiChat, to redraw improperly. This bug appears to affect Windows 95/NT and Macintosh, though Windows 98 appears to be unaffected. 14. Why do I get the 'Sorry not Java enabled' message when using Netscape 3.0 / MS Internet Explorer 3.0 on Windows 95? Follow the instructions below to turn on the Java capability of your browser. Netscape Navigator: Click Options > Network Preferences > Language. Check the 'Enable Java' box. Internet Explorer: Click View > Options > Security. Check the 'Enable Java programs' box. Your browser may be caching an earlier version of the applet. Clear the cache, exit the browser completely then try again. Go to Options > Network Preferences > Cache. Click Clear Memory Cache Now, then click OK.
Click Clear Disk Cache Now, then click OK.
Set 'Verify Documents' to 'Every Time,' then click OK.
Go to View > Options > Advanced. Click Settings for Temporary Internet Files. Click Delete Cookies (if present) and then click Clear History, then..
16. Why does it sometimes take longer than others to connect to the chat rooms? In most cases, slow connect and response times have to do with a slow computer on the Internet between your machine and ours. Other reasons include a firewall which prevents you to connect to the chat rooms. (for example, some Libaries establish a firewall to prevent chat room connections. 17. Why do I get the message 'Sorry that nick (<name>) is logged in' but I don't see the user in the chat room? Usernames are shared by all the rooms on a chat server. The person using that nickname is logged on to the same chat server, but is in a different room. Please choose another name. 18. Why am I asked for a password when I try to login with certain usernames? Some names (including room administrators') are password protected. You are trying to use a name that belongs to someone else. Please choose another user name. 19. How do I use the special Emoticons for the chat rooms? Go to the Chat Emoticons page to see an entire listing of the #1 Chat Avenue emoticons enabled for the chat rooms. Simply type the indicated chat command on the left to produce the indicated emoticon on the right. 20. How do I create new chat rooms and how many can be created? At this time only certain moderators will be allowed to create new rooms. Requests must be made directly to them. 21. I still see the old featureless chat rooms from before. How come I cannot see the Digichat chat rooms? ISPs sometimes use a proxy server to increase download speeds. If the cache is not deleted from the proxy server, then the user is going to load the old applet. Only time will correct this problem. 22. What is flagging messages? You can "flag" messages from select users by highlighting the name of the chatter and clicking the "flag user" button (face with red flag)? You can also assign font colors to them by clicking "settings" and going to the "fonts" tab! 23. Are these chat rooms safe? #1 Chat Avenue does it's best to supply it's users with a safe environment for chatters of all ages. The rooms are staffed by volunteer moderators who may or may not be present in the chat room at the time of your use. Please remember that a child's safety is the responsibility of the child's parents. Chatters under the age of 18 years old should be supervised by a parent or guardian. Please do not give out any personal information to strangers, no matter how trustworthy they may seem. 24. I am still having problems connecting to the chat rooms despite following all the proper instructions? Make sure you are using an appropriate version of Java. We recommend the latest (and best) Sun Java which can be downloaded at their website (link provided at the top of the page). 25. I still can't connect! (This applies to users who used to get in fine) Now its giving me a message "Java applet not found,," at the bottom. There is a grey box and the little logon "nickname" panel doesn't appear. What should I do? You may need to "refresh" your Java. Again, we find the best way to resolve this problem is to clear your cache and refresh the page. For Internet Explorer users, go to Tools > Internet Options > Delete Files > Press OK > Press Ok again. Then refresh the page. If that still doesnt work then try to go to the Java home page and click on the top right corner box (GET IT NOW) to reinstall java on your browser for free. That should do the trick! The last possible thing to try is to hold the "Control" key while you continue to refresh the page. a. Go to your control panel and double click your Java icon. b. Click Settings under the Temporary Internet Files tab and the Temporary Files Settings box will appear. c. Click the Delete Files button and the Delete Temporary Files box will appear. 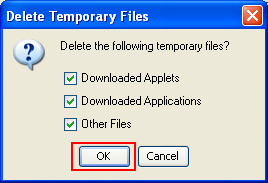 d. Click OK on the Delete Temporary Files window and then press OK on the Temporary Files Settings window. If none of these options work, then there must be something wrong with your Internet Browser and we recommend to download it again. 26. I am using a VPN or Proxy to access this site, do you allow that? Generally speaking, we ban all Proxy and VPN IP addresses from accessing the site but we do make a few exceptions. It is best you do not use a Proxy or VPN as the chances of you not being able to access the site will be very high. 27. I am getting some sort of message regarding "ActiveX" which does not allow me to connect to the site. What should I do? Through our research, this has something to do with your security settings either on your browser or your virus protection program. Basically, your computer is thinking that the chat room is not safe (which we know it is :) ) For internet Explorer users, go to Tools > Internet Options > Security (Tab at top). You can move the marker (on the bottom left) to "Medium-Low" level. For those with Anti-virus type programs, please check with the manufacturer of the software or the product manual for detailed description of how to change your security settings to allow for ActiveX controls. Alternatively, you can click the "Trusted Sites" button and add "https://www.chat-avenue.com" (without quotes) to the Trusted Sites zone for even more security. Update: As of 2015 no user should be receiving this issue as we have changed our chat software. However, you will need Adobe Flash. 28. I'm tired of users coming in under MY name. What can I do about it? 29. I am still having problems, who do I contact?